Super Eagles’ Captain, John Obi Mikel is in line to be voted the player of the year for his Chinese team, Tianjin Teda when they hold their end of season award event, reports owngoalnigeria.com. Despite missing three months due to a knee injury, the former Chelsea midfielder is among the candidates for the player of the year for the club, as his return from injury helped their cause to beat the drop to the second division. 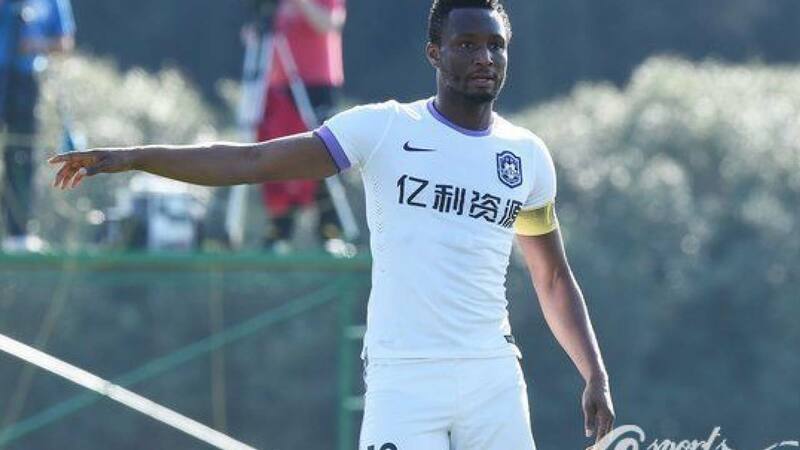 Mikel has so far made 12 appearances for Tianjin Teda in the Chinese Super League with a goal to his name, but his performance has endeared him to the fans and technical crew of the club. Already, he has picked up back-to-back Man of the Match awards in vital games, which helped them beat the drop. Mikel has also proved his versatility as he distinguished himself as a central defender in some games.